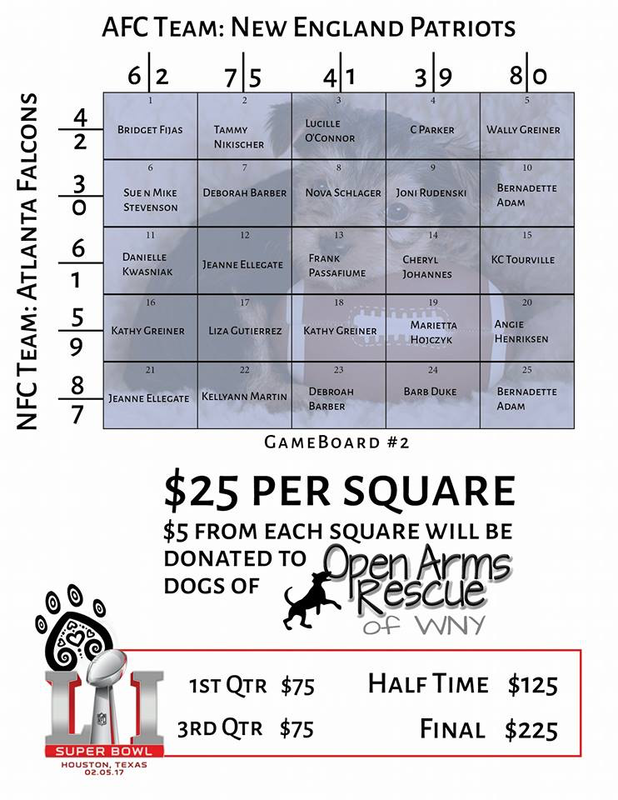 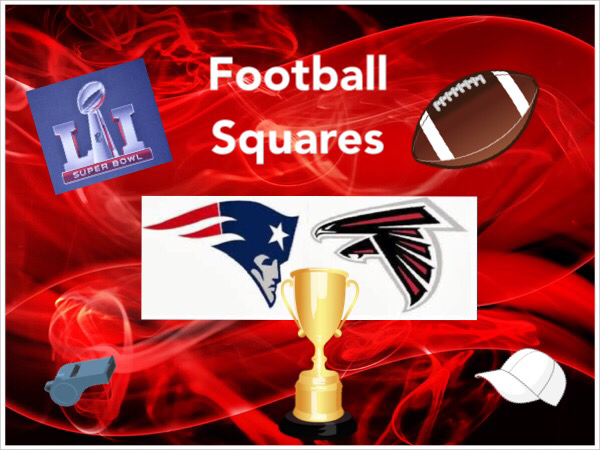 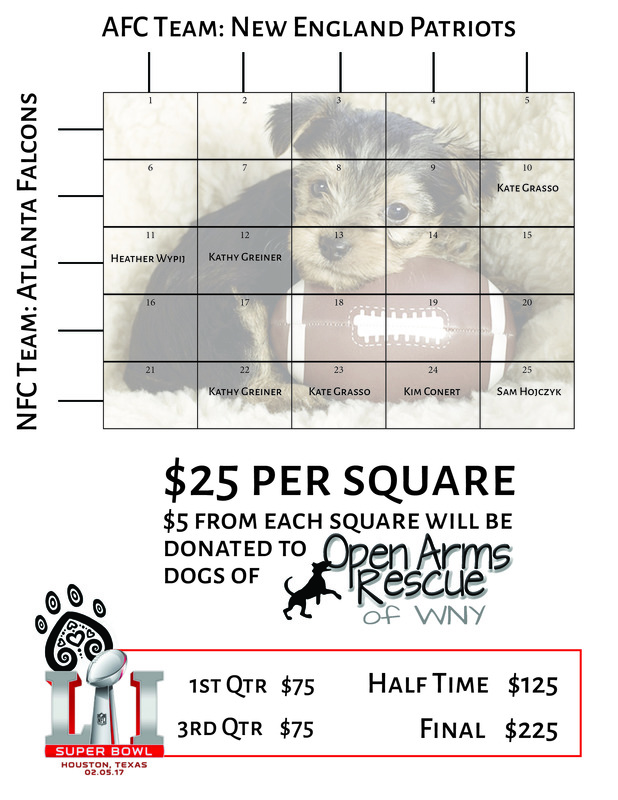 Get your SUPER BOWL Squares! 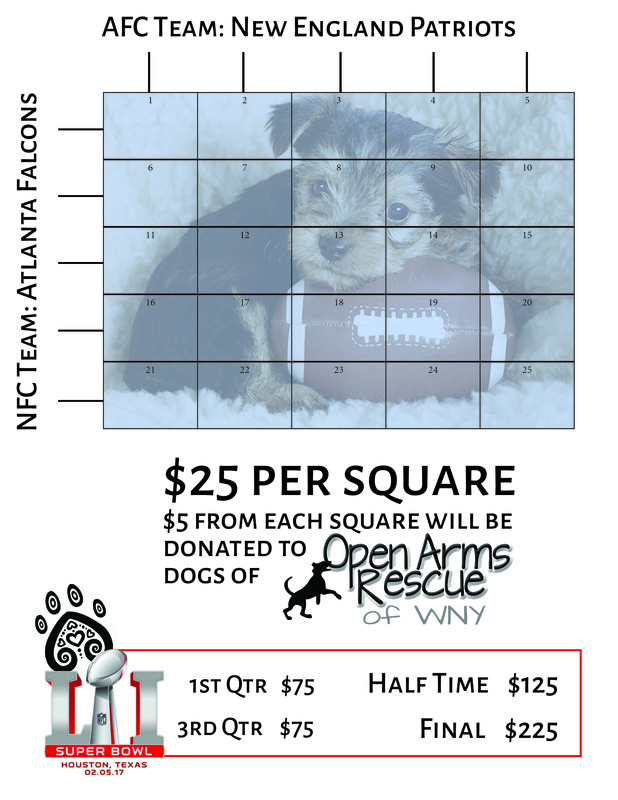 Hurry they are going FAST.....so fast that we had to start a second game.......(this one has a blue background). 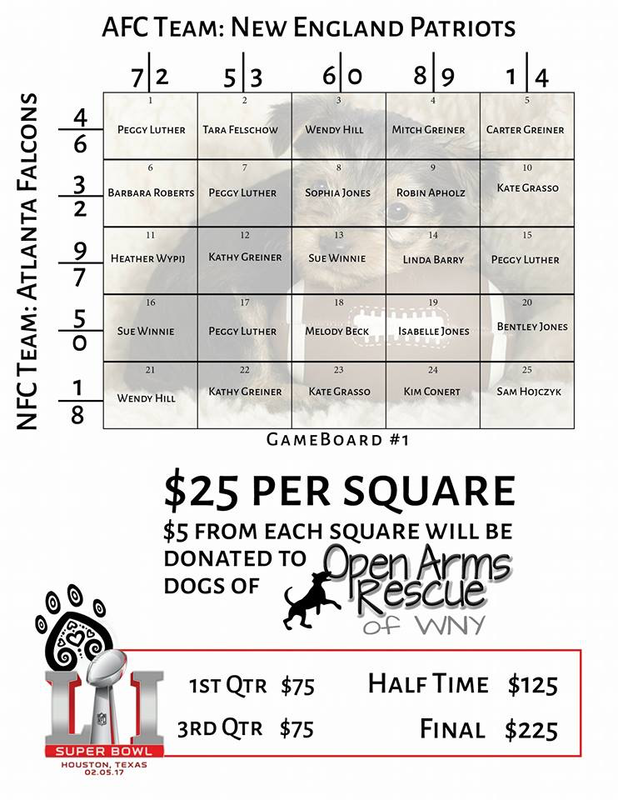 ** Payment must be received by 2/3/17 or your square/squares will be reassigned to another player.